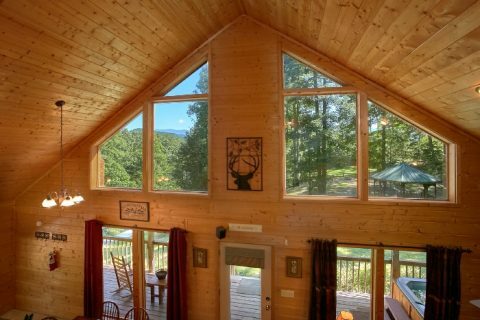 Located only a short drive from Gatlinburg and Pigeon Forge, "Sweet Seclusion" is a luxury cabin that offers guests the chance to escape from the hectic pace of the daily grind. 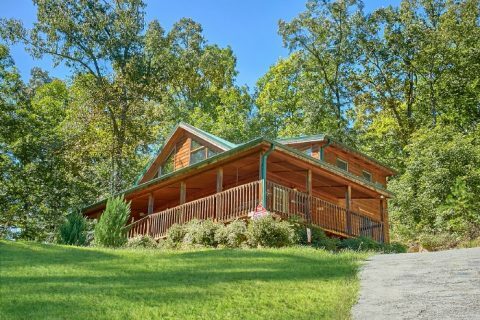 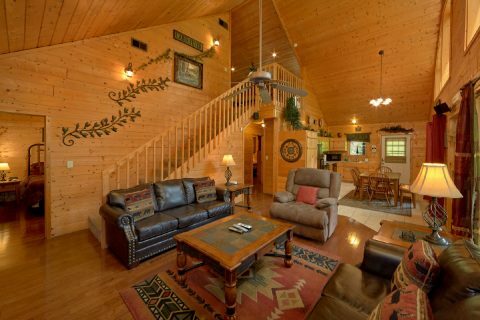 This beautiful log cabin located in Richardson Cove offers a peaceful spot in the mountains to reconnect with friend and family while having an excellent time! 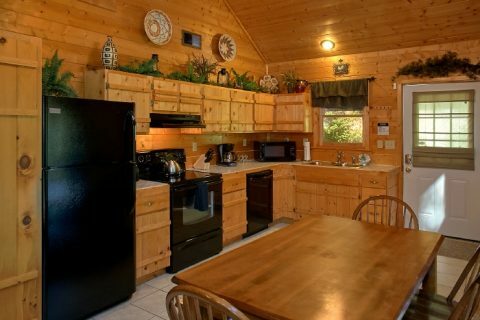 For fishermen, this cabin is only a short drive away from a river. 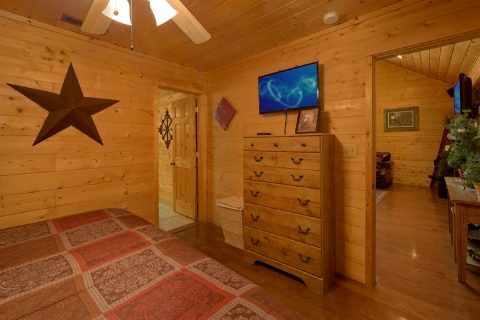 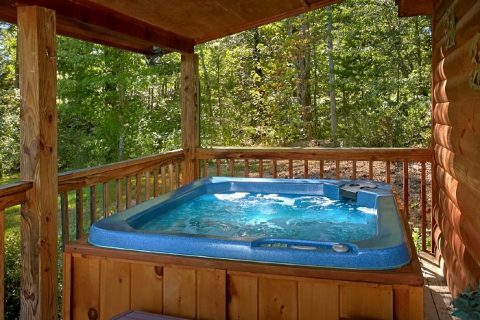 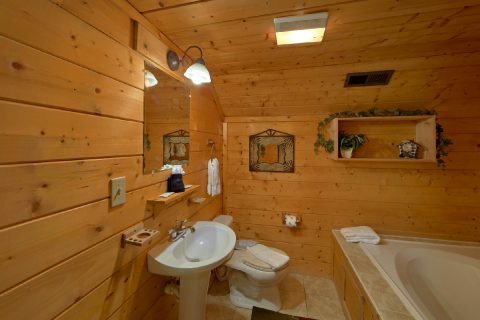 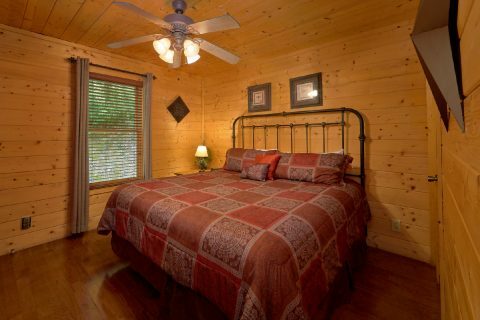 As soon as you step into this luxury cabin close to Gatlinburg, you'll be glad you booked a quality cabin for your family to enjoy. 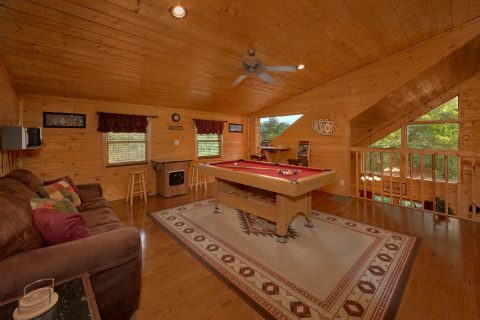 With two bedrooms, a game room, a living area, and a covered deck, there's plenty of space for everyone to relax the way they like. 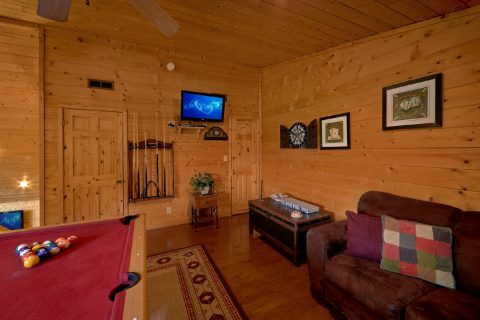 Enjoy playing pool or classic arcade games in the lofted game area. 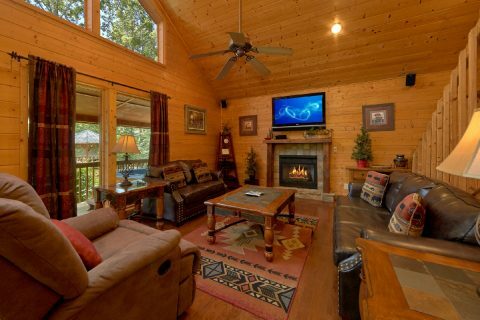 Watch your favorite movie by the gas fireplace in your living room with a 42" television and surround sound. 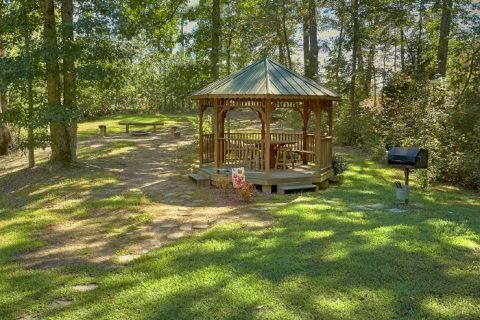 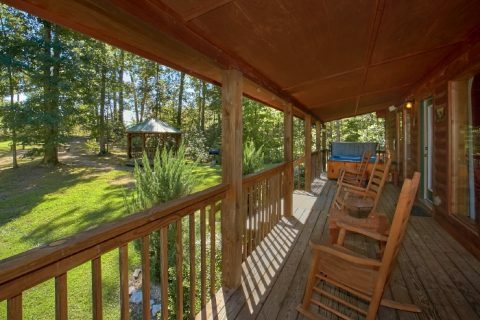 Outside on the deck, enjoy the sights and sounds of nature while you sit on the porch swing or soak in the hot tub. 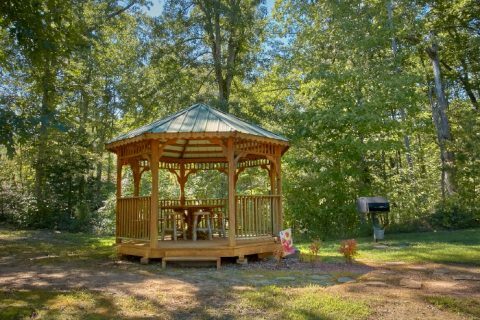 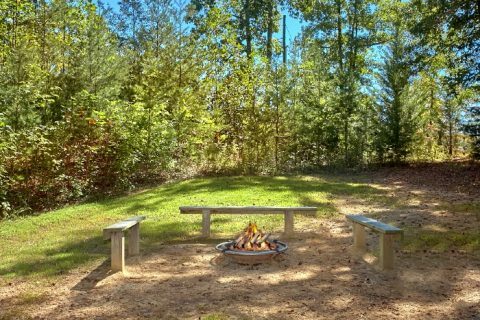 For a great dinner, enjoy a cookout by the gazebo area and roast s'mores on the outdoor fire pit! 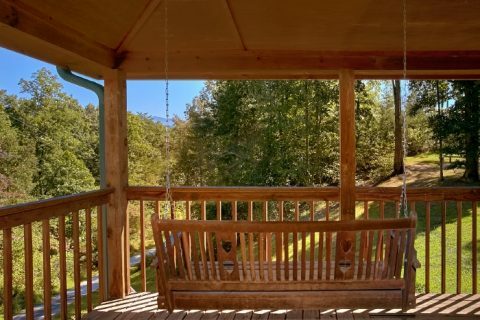 When you aren't busy enjoying the beautiful scenery of Richardson Cove, you can just as easily explore other exciting parts of the Smokies. 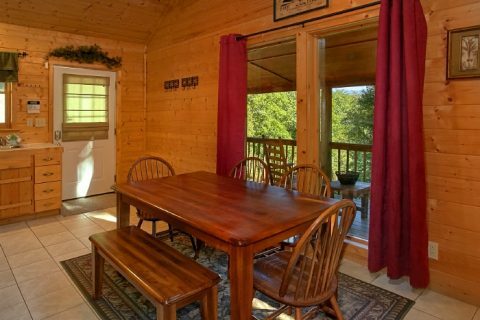 Nearby Downtown Gatlinburg offers dozens of restaurants, attractions, and several entrances to the Great Smoky Mountains National Park. 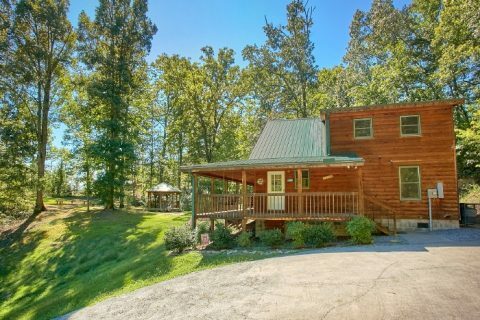 Dollywood is also accessible by way of Upper Middle Creek Rd. 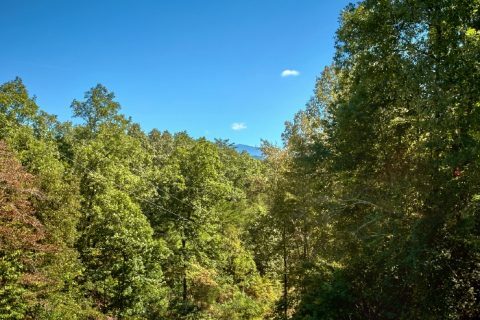 towards Pigeon Forge, TN. 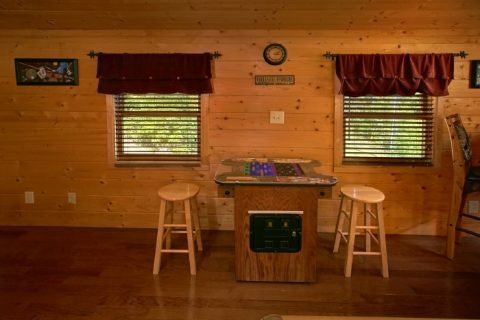 With two king-size bedrooms, this cozy cabin comfortably sleeps 6 guests with the addition of a sleeper sofa in the game room. 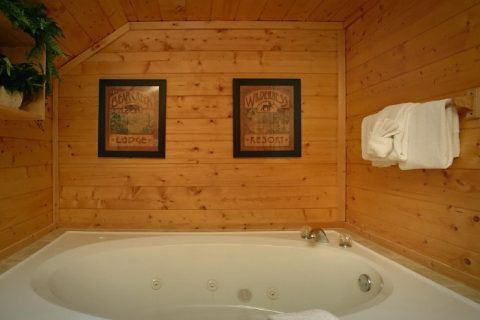 Both bedrooms offer televisions, private baths, and one bedroom provides a jacuzzi tub. 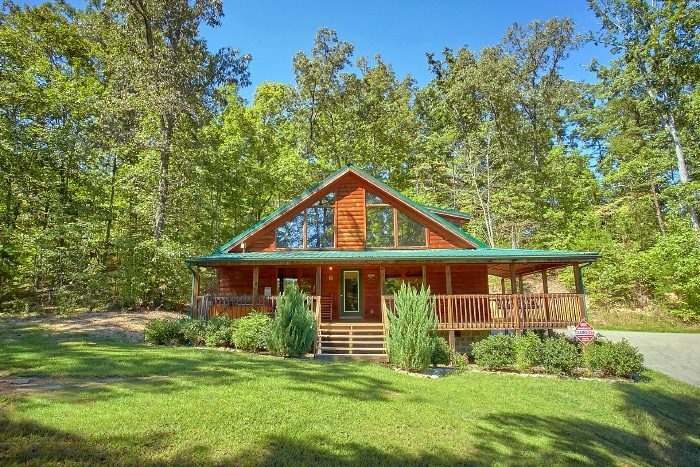 This cabin makes a nice honeymoon getaway thanks to its private location, but families with kids will also love this cabin with comfortable amenities and plenty of yard space for the kiddos to play! 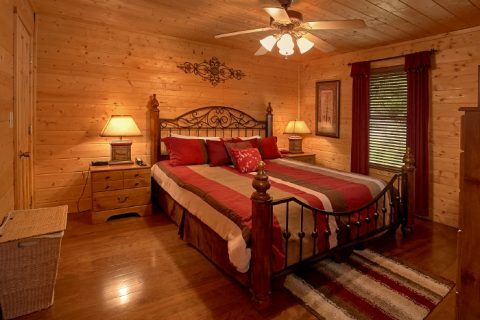 Book "Sweet Seclusion" online with Cabins USA Gatlinburg today to save big on your luxury cabin vacation in the Smoky Mountains!